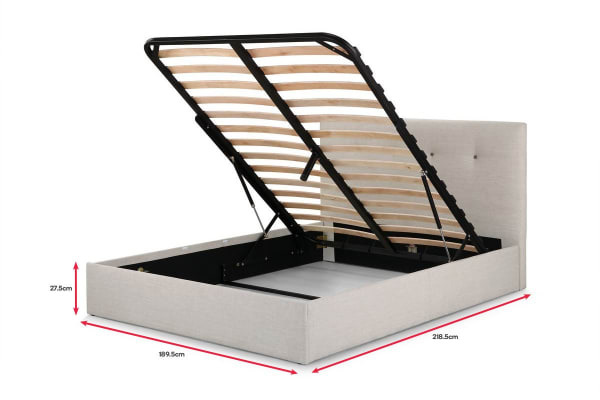 With the gas lift feature providing generous storage space below your mattress, this bed frame helps keep your room orgaised – while looking great in the process. Delivering a superior level of style and comfort, a Shangri-La bed frame is a must-have in any bedroom. The classic yet contemporary design allows it to blend perfectly with your decor, and the tall, padded headboard provides a comfortable resting place. Save space in your home with the gas lift function, which grants access to an extremely generous storage compartment.